Decision No. 2 to the License of the Ministry of the Interior and Administration no. B-382/2003 for conducting business activity within the scope of producing and trading in products and technology for military and police use. 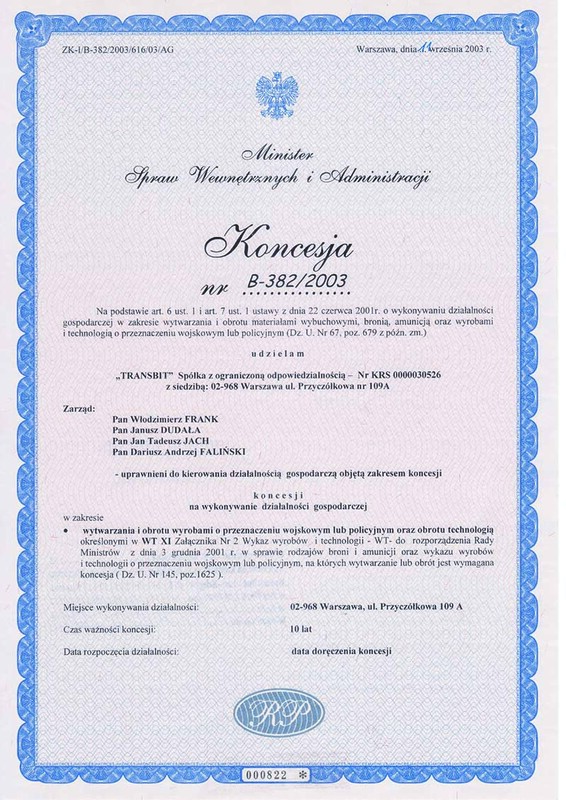 The License of the Ministry of the Interior and Administration no. B-382/2003 for conducting business activity within the scope of producing and trading in products and technology for military and police use. 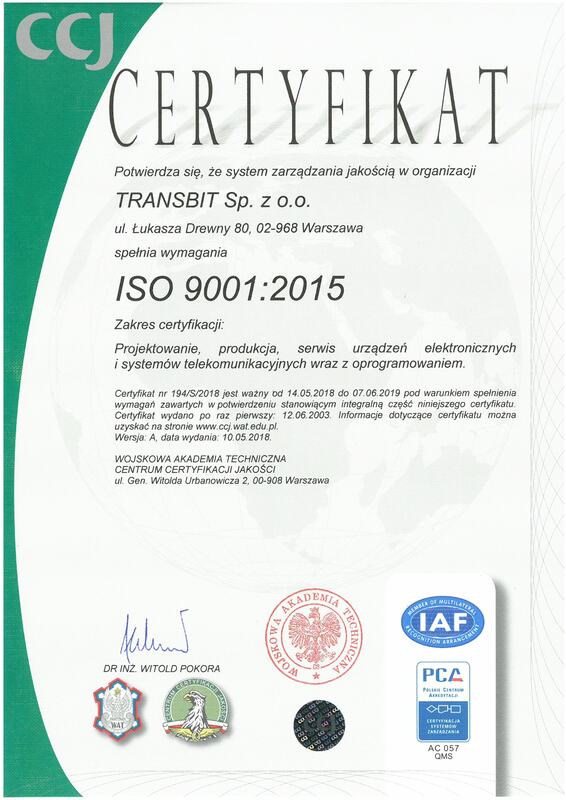 Certificate for Quality Management System Compliance with the PN-EN ISO 9001:2015 standard issued by the Quality Certification Centre. 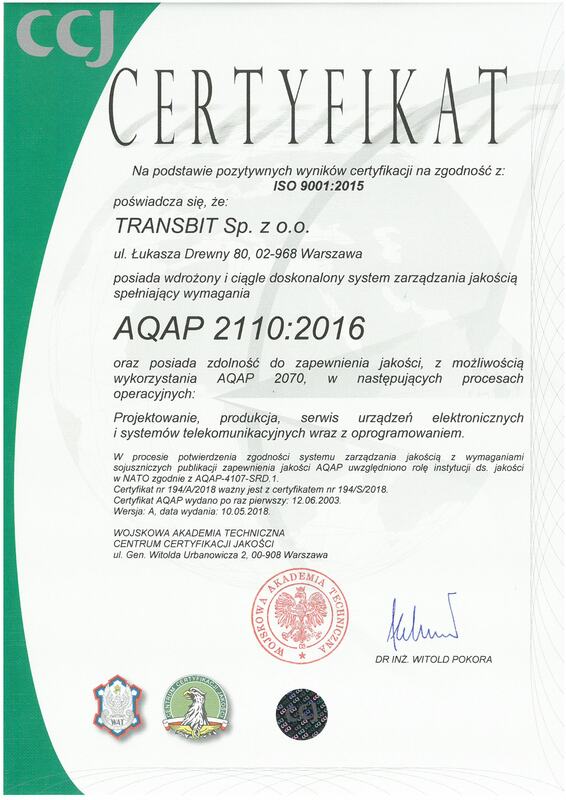 Certificate AQAP 2110:2016 issued on behalf of the Polish National Institution in NATO for Quality Assurance within the scope of designing, producing and services electronic devices and telecommunication systems with software. 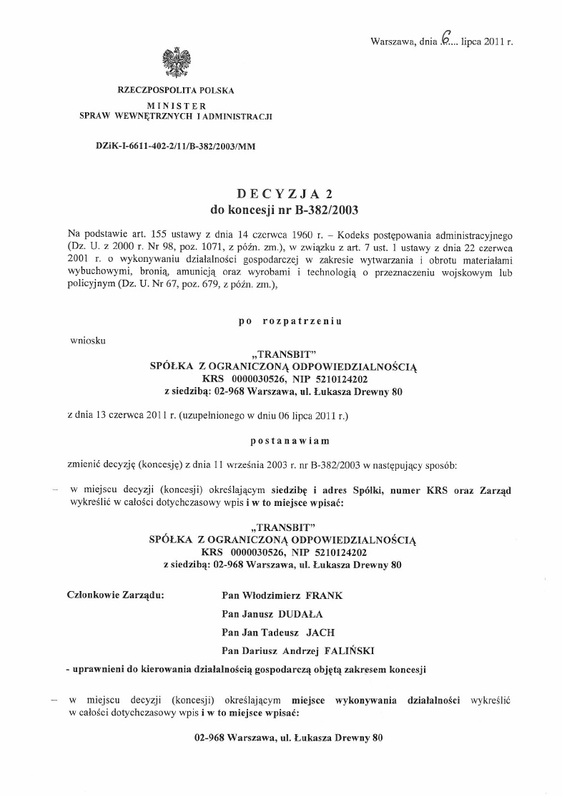 Certificate AQAP 2210:2015 AQAP 2210:2006 issued on behalf of the Polish National Institution in NATO specializing in quality assurance within the scope of developing, copying, producing , delivering and maintaining software. 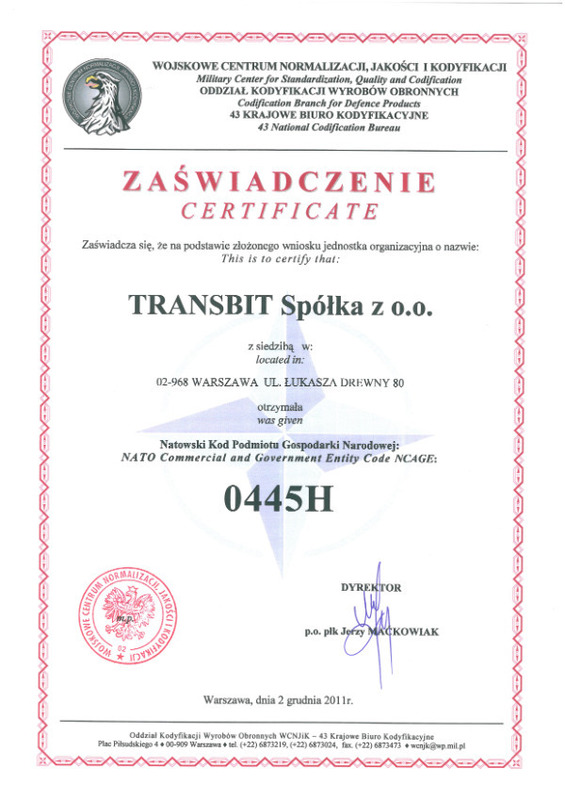 NATO CODE of the National Economy Entity (NCAGE-NATO Commercial and Government Entity) number 0445H, granted by the Military Center for Standardization, Quality Assurance and Codification.